When I decided to do the Mutianyu section of the Great Wall of China by myself, I knew I would be in trouble. From confusing information on the web to complex routes, let alone the hurdles in language, getting there would be a sure challenge. True enough, the moment I got to Dongzhimen, a busy commuter universe unfolded. The landmarks mentioned in China guides seemed to have drowned in a throng of people & vehicles moving around. It was really messy. Along the way, I chanced upon a Belgian couple that was also looking for the station. We instantly teamed up—-an easy thing to happen when you’re terribly lost in translation. Finally we found the sought-after direct bus, 867. But just as we have already boarded, the driver said we got the wrong one. All the shits & fucks (pardon the words) flew right away! Wherever the “disconnect” was—the guidebooks, the driver or some new on-ground changes, we didn’t have time to figure out. After a few more hunts, we hopped into Bus 936. It did not bring us on the doorsteps of the Great Wall but it was the best we could get at that moment. 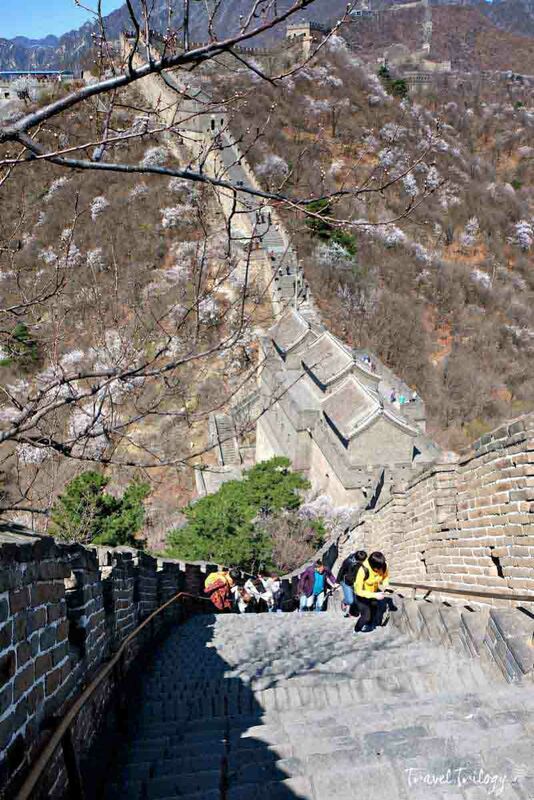 Exploring the Great Wall of China at Mutianyu is not easy but possible. 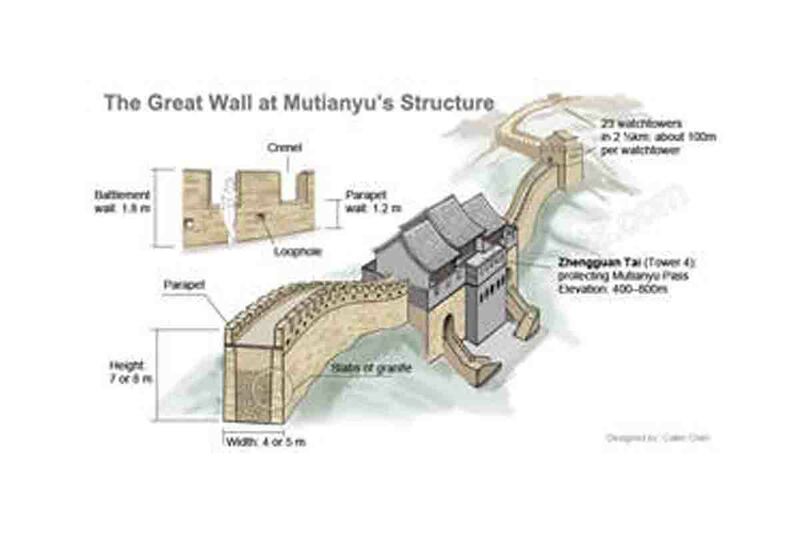 Let’s begin by understanding the Great Wall of China. It spans a length of 8,850 kilometers, making it the world’s longest man-made structure. Built over several dynasties, it is now about 2,700 years old. UNESCO designates it as a World Heritage Site. Check out the map below. 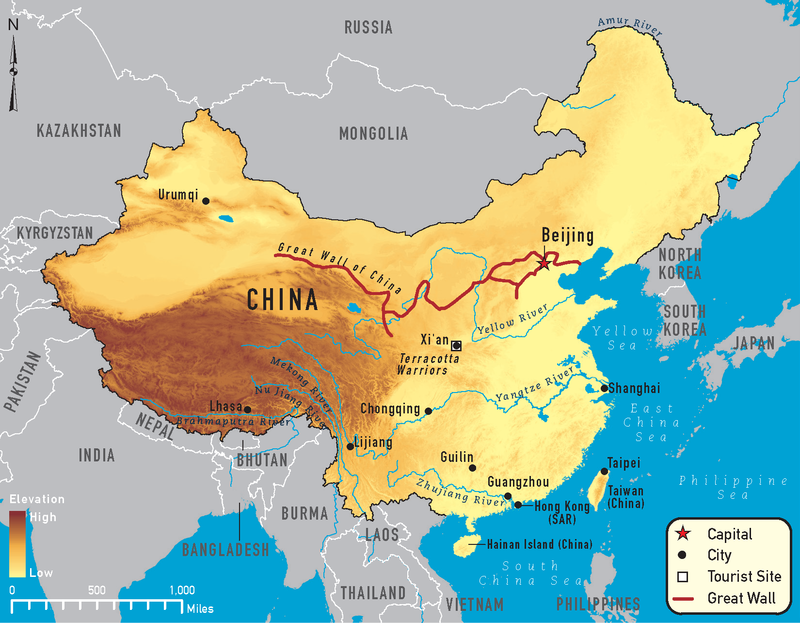 With its entire length, the Great Wall of China stretches to 9 provinces. It starts at Dandong in the east & ends at Lop Lake in the west. There are about 32 known passes that are open to tourists. Among them, the ones near Beijing are the most popular because of its proximity & available tourist facilities. Below illustrates the various passes near Beijing. It’s about 2 hours away from Beijing. Farther than Badaling but closer than Simatai & Jinshanling. Many parts of the fortification are restored, making it safe to explore. There are not much tourists, especially domestic group tours. 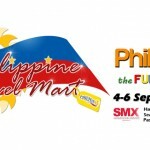 Tourist facilities are installed like cafes, restaurants, restrooms, cable car rides & sleds. It’s cheap to get there. Below illustrates the map of Mutianyu Section. 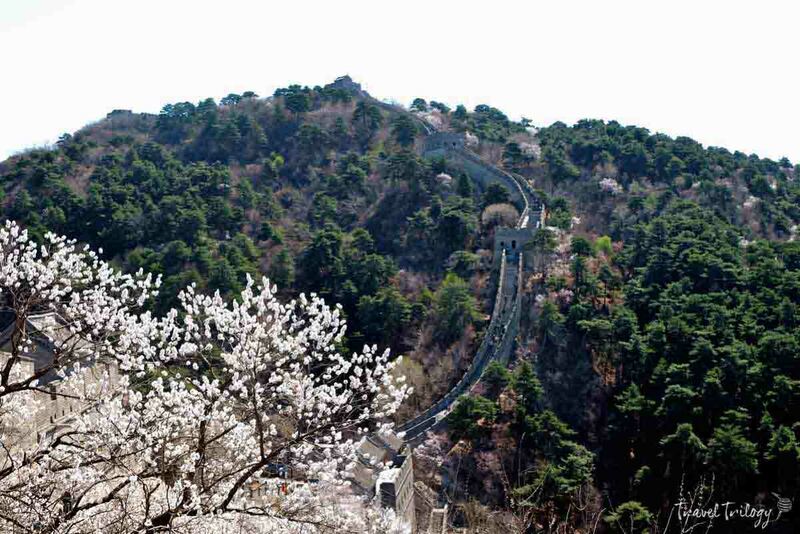 Badaling is the showpiece pass of the entire wall. But it’s also very crowded. Simatai & Jinshanling are hailed as the prettiest sections. But these are also the farthest sections & the steepest to climb. Mutianyu is a beautiful section of the Great Wall of China. It winds about 2.5 kilometers along imposing mountain ranges & deep gorges. Built during the Qi Dynasty, it is now about 1,465 years old. Seriously, the steps are steep but it’s all worth it especially when you reach the watchtowers. 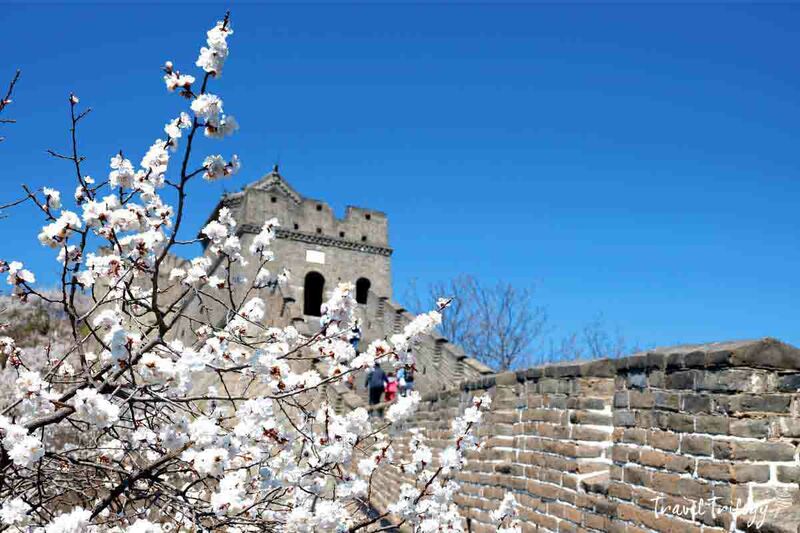 Since I came in mid-spring, the areas around the wall were filled with wild & fragrant flowers. 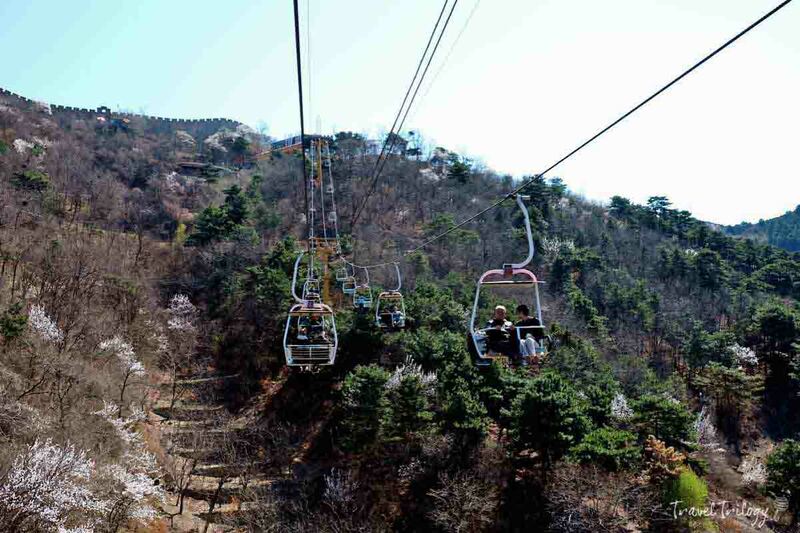 Taking the open-air chair lift to the summit indulges you to a wonderful view of the cypress trees & plum blossoms. Going down on a sled is more fun. This single-rider toboggan, takes you on an exhilarating drive on a winding path down to the foot of the wall. Check out the video below. Below is a compilation of the routes & my experiences in getting to Mutianyu. One thing to remember—it’s not an easy way to get there. Go to Dongzhimen, the transport hub for all outbound buses. From Beijing, take the subway to Dongzhimen Station via Line 2/Line13. Take Exit B.
Alternatively, you can take the city bus numbers: 106, 107, 123, 132, 206. Find the Dongzhimen Outer Street Bus Terminal. It’s not the indoor terminal you will immediately see outside the subway station. You still need to walk a few blocks away. 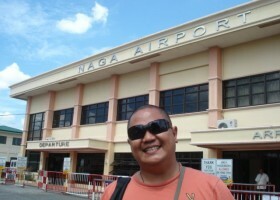 Walk towards Waida Street (straight ahead—-don’t mind the terminal you’ll see on your left side). Turn left on the corner. Don’t cross the street! On this side, you’ll see buses on the sidestreet picking up passengers. The terminal is still way farther, about 300 meters. Along the way, you’ll see parking lots for buses & cars on both sides. 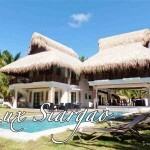 There is also a 2 –storey building in blue & white. It means you are near. On your left side, you’ll see a gated bus terminal. It doesn’t have any sign on it. Just check for roofed bus bays. Get inside. Bus number signs are hung on the bus bays. When you get to Mutianyu, you will need to pay the admission fees at the entrance gate. Once done, walk inwards, passing by souvenir shops & restaurants. Get yourself to the Bus Station. You will be shuttled up to the entrance of cable ways. If you choose to just trek, just follow the path uphill. There are museums inside the complex. You may choose to this after the wall tour. What Bus Number to Take to Mutianyu? 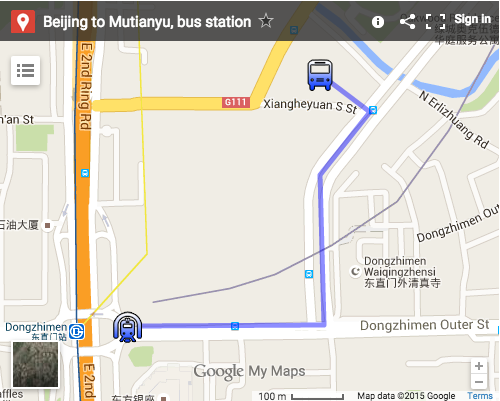 Many guides would tell you that Bus 867 goes direct to Mutianyu Huandao. But this changes oftentimes. Check bus schedules when you get to Beijing. If you ever find this bus, ask first if it’s bound for Mutianyu Huandao because they could be plying on a different route on that day (just like what happened to us). Otherwise, take Bus 916 to Huairou District. Get off at the terminus station at Huairou North Street. Transfer to a mini-van. Or you may take a connecting bus H23, H24, H35, H36 on the side street bus stop. This takes you straight to the entrance of Mutianyu Huandao. Bus 936 is also an alternative. It goes all the way father than Huairou Bus Stop. It will turn left somewhere. Tell the driver to drop you off before it turns left (for another town). 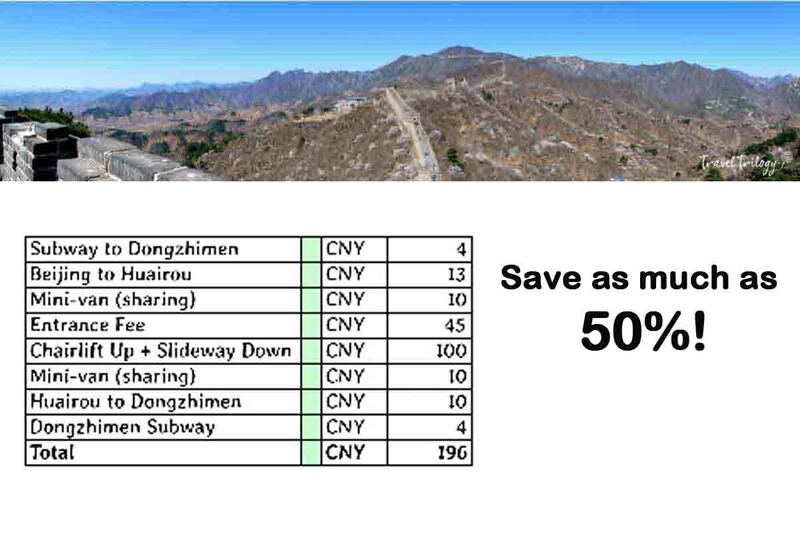 This section is closer to Mutianyu & will save you payment for the mini-van. Buses normally start to depart at 7AM. Check the current timetable when you get to Beijing. What Do You Need to Remember When Taking Bus 916 or 936? In many stops along the way, you’ll hear barkers shouting for Great Wall mini vans. Don’t get off because this is still far from Mutianyu & a sure rip off! If you’re going off in Huairou, make sure you tell the driver or better show him your destination pre-written in Chinese. Buses H23, 24, 35, 36 in Huairou are very limited so very patient. Also, be prepared to hustle with the locals. If you decide to take the mini van, team up with other tourists or join the locals. As foreigners, they will charge you CNY30-50. Don’t fall for this because it’s only CNY10 for locals! Note that these mini-vans are privately owned & are mostly unaccredited so they can always jack up the price. Unless you’re a large party & you can fill the mini-van, the drivers won’t take in other passengers. Otherwise, they’ll roam around the town first until it gets filled. Don’t expect for change. So be ready with loose bills. Always check the return schedule of buses from Huairou to Beijing as most of 916 & 936 buses leave there at around 3 or 4PM. There are city buses & taxis that go back to Huairou outside the Mutianyu entrance. Aside from getting ripped off by mini-van drivers, they are also in connivance with locals. They will swarm & tell you that the driver is quoting you the honest price. Mini-van drivers will usher you to the entrance where you will get your ticket. They will tell you that trekking up to the summit is not possible. This is not true. They’re actually in collusion with cable car operators for commission. If you do not want to take the cable car or sled, just pay for the entrance fee to the wall. Going back to Huairou from Mutianyu, they will scare you that the bus for Beijing is leaving. Don’t believe this if you know the return schedule. They’re up to offering CNY50 & it’s not even an exclusive trip. These barkers & drivers are very aggressive. They shout at you in Chinese. Don’t be afraid to shout back if you feel harassed. Bring food & water because everything inside is about 3x more than the normal price. Always clear the real price; have them write it down before you order because they’ll intentionally confuse you with their pronunciation to trick you with the price. Entrance Fee is only CNY 45. Cable Car Roundtrip is CNY 100. Chairlift Up + Slideway Down is CNY 100. Can you just take 1-way ride up or down? Yes! Note there are 2 companies operating the cable ways. Can You Hike Up to the Summit? Yes! It is possible to trek up to the summit. Be prepared for 4,000 steep steps. But why bother to walk when you can take the cable ride up? Reserve your energy in walking up in the Great Wall. Besides, it’s a fun experience. There are 2 types of cable cars—open & close. I prefer the open, chair lift type because it’s breezy & you get unobstructed photos. I saved a lot by doing DIY! Normal group tours to Mutianyu are around CNY 420-500 or $65 USD. This includes all the fees & lunch. I only spent CNY 196 or $31 USD. Even if I include my lunch pack of about $3, I still saved about 50%! Imagine forking out 50% more? As a first-timer on the Great Wall of China, the Mutianyu section was everything that I hoped for. All the possible apprehensions of being slaved by bus routes, schedules, messy translations & scams were all true. But I prepared for the worst, so I still got a good DIY experience. Check these links for additional information. Here is one thing I learned Pot which could be of help to your readers. The airport staff on the way out of China (Shanghai airport at Pudu in my case) are very strict with power banks. They need to see marks or stickers or packaging signifying the mAh capacity of powerbanks. As my cdr king powerbank has no sticker, it was confiscated. So, leave your precious power banks at home if it has no mAh proof. Thanks Lonix! That’s nice info. I didn’t bring my powerbank so I didn’t encounter this experience. Salamat. How was your China trip?